Stay in one of 11 guestrooms featuring flat-screen televisions. Complimentary wireless Internet access is available to keep you connected. Bathrooms have bathtubs or showers and complimentary toiletries. Conveniences include desks and coffee/tea makers, and housekeeping is provided daily. This charming hotel enjoys a central setting in Yekaterinburg. The hotel is situated close to the Green Grove Park, and enjoys spectacular views over the Alexander Nevsky Cathedral Domes. Guests will find themselves in close proximity to the many cultural and historical attractions that this mesmerising city has to offer. Guests will be impressed by the elegance and charm that greets them from the moment they walk through the door. The guest rooms are beautifully appointed, and offer a relaxing setting in which to work and rest in comfort. The hotel affords guests access to a number of exceptional facilities, ensuring that the needs of business and leisure travellers are met to the highest degree of excellence. 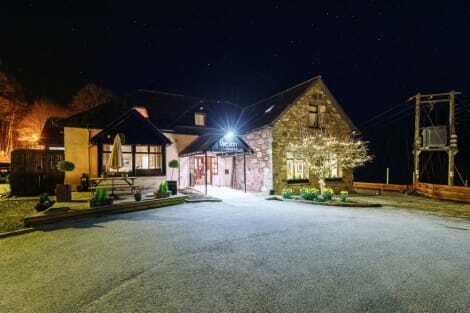 The hotel is the perfect base from which to explore this beautiful landscape, situated in a wonderful position set back from the serene town of Pitlochry. It enjoys lovely views over the town, the centre of which is just an easy 10 minute stroll from the hotel door. The setting is ruggedly beautiful and with the Ben Vrackie Mountain towering majestically almost 3000 feet above the town, breath-taking views are guaranteed. Featured amenities include complimentary newspapers in the lobby, dry cleaning/laundry services, and a 24-hour front desk. This hotel has 3 meeting rooms available for events. Free self parking is available onsite. Make yourself at home in one of the 6 guestrooms featuring DVD players. Private bathrooms with bathtubs or showers feature complimentary toiletries and hair dryers. Housekeeping is provided daily, and irons/ironing boards can be requested. This 4-star Victorian mansion is set within the picturesque Highland town of Pitlochry, boasting ten acres of lush gardens and woodland. It offers Scottish cuisine, traditional furnishings, and log fires. Using fresh, local produce to provide a classic variety of Scottish cuisine, The Garden Restaurant offers comfortable dining with views of The Pine Trees’ expansive gardens. Guests can enjoy the hotel’s bar, with its open log fire and range of Scotch single malt whiskies. Some rooms at The Pine Trees Hotel offer scenic views of the surrounding gardens, along with private bathrooms, TVs, and tea and coffee facilities. The hotel gardens are home to a variety of wildlife, including red squirrels and deer, while Cairngorms National Park – the largest in the British Isles - is just five minutes’ drive away, accessible via the nearby A9 motorway. Pitlochry Rail Station is just ten minutes’ walk away. 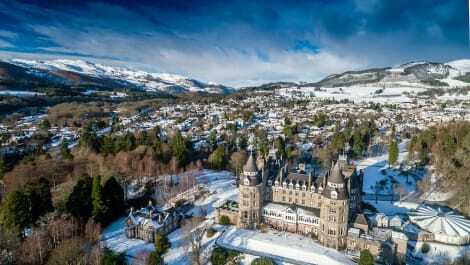 Located in Pitlochry, Atholl Palace Hotel is in the mountains, within a 5-minute drive of Bells Blair Athol Distillery and Black Spout Waterfall. This 4-star hotel is 1.1 mi (1.7 km) from Pitlochry Festival Theatre and 1.3 mi (2 km) from Pitlochry Power Station and Dam. 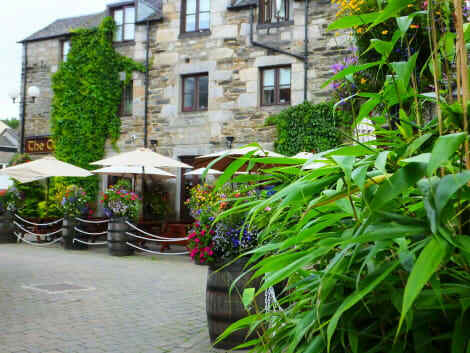 Located in Pitlochry, The Old Mill Inn is within a 15-minute walk of Pitlochry Power Station and Dam and Bells Blair Athol Distillery. 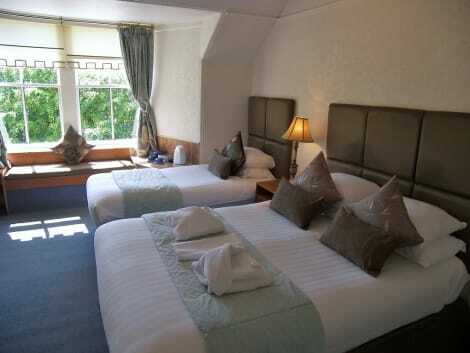 This 4-star inn is 0.6 mi (0.9 km) from Pitlochry Golf Club and 1.1 mi (1.8 km) from Black Spout Waterfall. Make yourself at home in one of the 34 guestrooms featuring espresso makers. Complimentary wired and wireless Internet access keeps you connected, and cable programming provides entertainment. Private bathrooms with showers feature designer toiletries and hair dryers. Conveniences include phones, as well as safes and desks. Make yourself at home in one of the 5 guestrooms featuring iPod docking stations and flat-screen televisions. Complimentary wireless Internet access keeps you connected, and digital programming is available for your entertainment. Private bathrooms have complimentary toiletries and hair dryers. Conveniences include electric kettles and irons/ironing boards, and housekeeping is provided daily. Near Scotland's geographical centre, Pitlochry is a place where you can immerse yourself in Britain's most spectacular wilderness, the Highlands, breathe in the revitalising mountain air, and familiarise yourself with the true heart and soul of rural Scottish life. In the scenic valley of the River Tummel, this pleasant community grew to prominence in the early Victorian period, when a leisurely visit by Queen Victoria gave this region of Scotland groundbreaking publicity. Locally nicknamed the 'Theatre in the Hills', the The Pitlochry Festival Theatre opened to the public in 1951 and now welcomes tens of thousands of visitors each year. The venue, which organises new shows every night of every week, was originally based in a large tent but has been at its current site since May 1981. This striking mountain, which is 841 metres high, is popular with many hikers staying in Pitlochry hotels and is renowned for its superb panoramic views over the valley. In fact, from Ben Vrackie, which is known as 'speckled mountain' in English, observers may even be able to spot the hill of Arthur's Seat in Edinburgh if there is particularly good visibility. This wonderful freshwater loch is almost 15 miles long and was once inhabited by Iron Age tribes who lived on crannogs (artificial islands). The loch is more than 150 metres deep at its deepest section, and is overlooked by the towering mountain of Ben Lawers, one of Scotland's highest. Just a short drive to the north west of Pitlochry, Blair Castle is a prestigious category A listed building and accommodated Queen Victoria in 1844. The castle, which has medieval origins, was remodelled on multiple occasions between the 15th and 19th centuries, and is now a leading tourist attraction and exquisite wedding venue. If you're a big fan of mouthwatering British cuisine, you can dine at the Fonab Castle Hotel Brasserie, or consider the Logierait Inn for some tasty Scottish classics. Other acclaimed restaurants in the area include the British and European-themed Restaurant at Knockendarroch and The Scottish Deli. For a truly memorable, romantic experience, book a stay at the Fonab Castle Hotel, or choose the elegant Scotland's Hotel & Spa or Atholl Villa. For great, budget-friendly accommodation, choose stylish Birchwood, or try the opulent, majestic Atholl Palace Hotel.